First of all I wanted to say that my time in Antwerp was way to short and my visit to the Kloosterstraat even shorter. 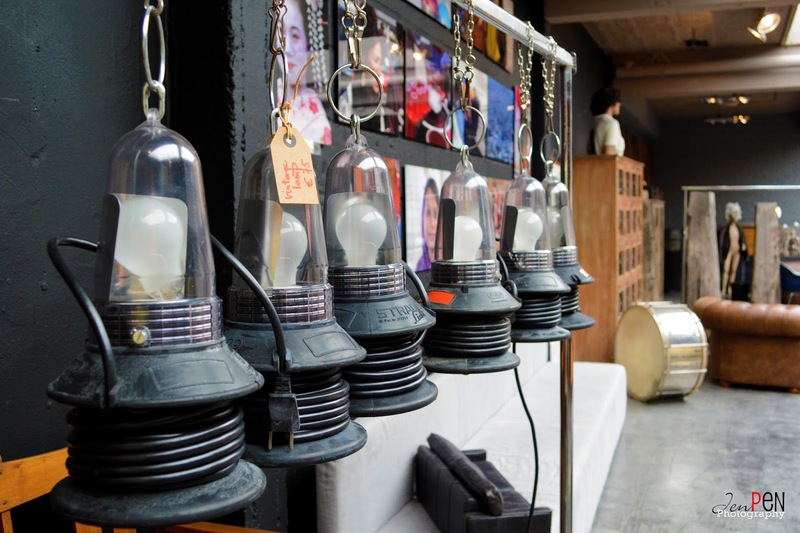 Last week I shared with you guys the vintage store ARRANGERIE 13, which is located in the Muntstraat. But not very far from the Muntstraat, you'll enter the Kloosterstraat. The Kloosterstraat has many awesome vintage and antiques stores that you would be very angry at how fast the time flies when you're enjoying the treasures of the past. 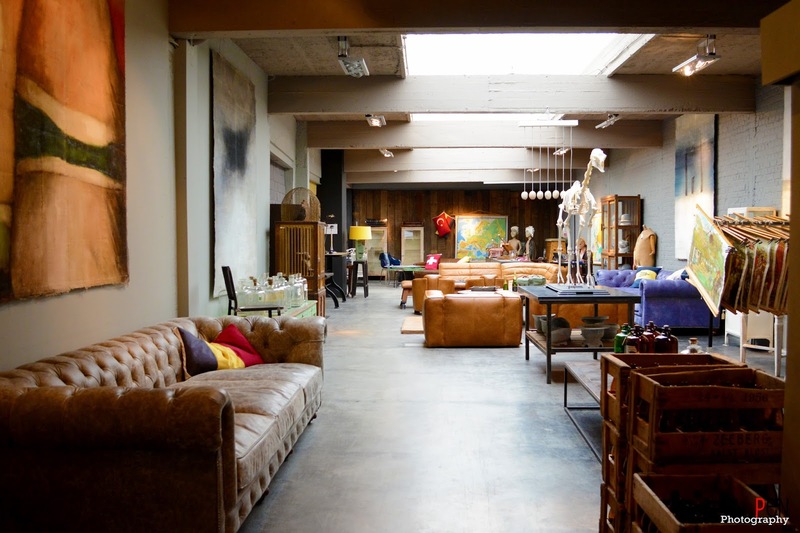 So, today I wanted to share another store, which is located in the Kloosterstraat. Ok, there are two downsides to this story: (1) I totally lost the business card I got from the lovely lady who was working there. 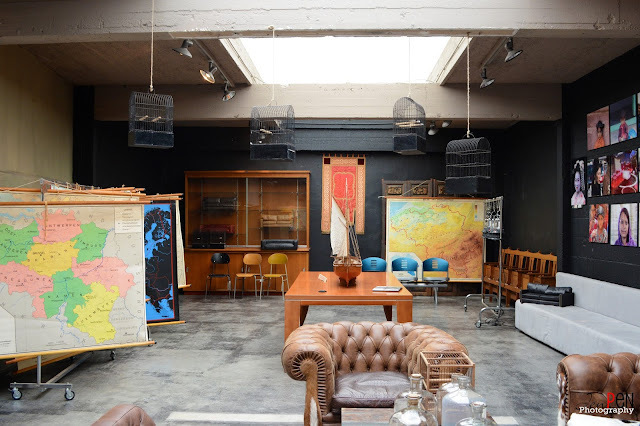 I've search in every corner of the web to find the name of this gem and looking at the walls of this space and the pictures I've found on the web, it might be that this store is called LOFT STYLES. And (2) I can't seem to find no website. But that will not stop me from sharing this awesome space with you guys. I love the fact that they several gymnastics furniture. How cool is it to match chesterfield sofa and chairs with a gymnastic bench? Your home would be awesome!! 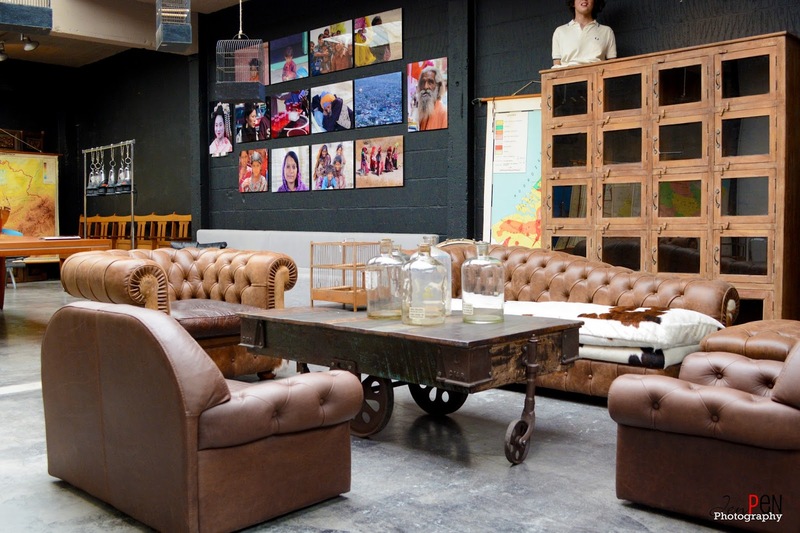 A combination of school furniture and industrial pieces is also something that will make your home or office unique. You'll create a playful yet modern feel to the space. This is truly one of those place you can't skip. It's worth your visit and experience. If you ever been to this store in the past months, could you please confirm me the name? It's located in the awesome street Kloosterstraat, so leave your comments in the comment section below if you know the correct name. Hi Jaimee, as it's an awesome space. And of the reason that everything flows so good together is because most of the pieces have the same color. So it brings tranquility in a space. If you need any help with yours, send me an email ;) thanks for stopping by. What a heavenly space. I would love to go there - such a unique spot. This place is amazing! I feel inspired just looking at it! Had the same feeling Amanda, when entering and being surprise by it all. OMG everything looks so well put together. It just makes me want to redecorate my house and I would totally need that table.